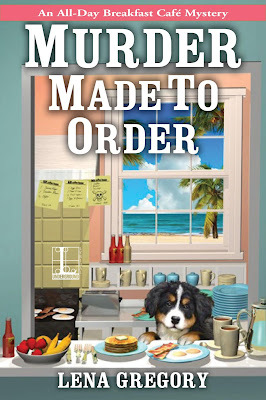 Lena Gregory takes readers back to Boggy Creek, Florida with Murder Made to Order, the second book in her All-Day Breakfast Café series. This is a standalone read and Lena does a good job of filling in blanks for those who haven’t read the first book, Scone Cold Killer. 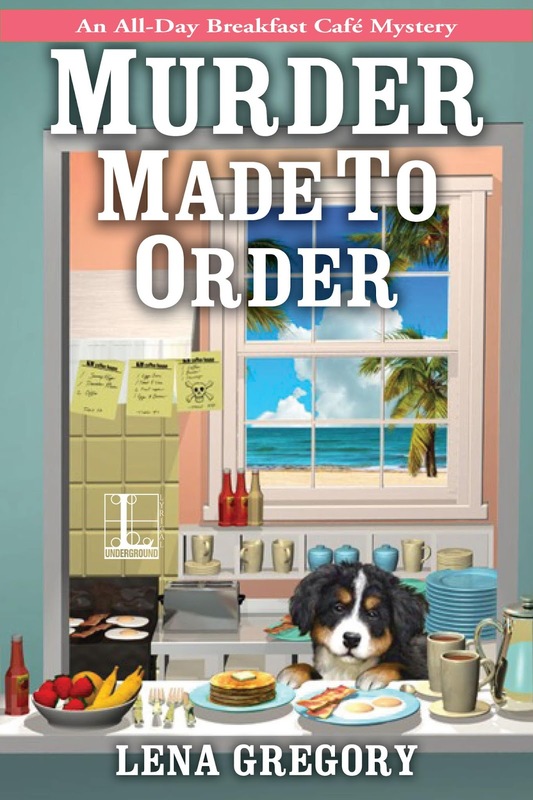 In Murder Made to Order Gia Morelli finds herself still longing for New York City and wondering if Florida is where she belongs. She also finds that what she thought was a possible budding relationship with Detective Hunter Quinn, her best friend Savannah’s cousin, seems to be flaming out before it truly gets lit. But things get worse when she receives a letter notifying her that she could lose her cafe due to a zoning issue dating back years. On a walk with her dog Thor, Gia stumbles upon the submerged body of Marcia Steers, the town council president. The same woman she’s supposed to meet with later in the day. Upon returning to office, Gia discovers a letter left by Marcia informing her that she has information which could help with her zoning issue. Gia starts to wonder if Marcia’s death has anything to do with her and decides to do a little investigating with Savannah. Murder Made to Order was a really good read. The story was successful but there were some things that I didn't like at first. I can’t say what those things were because it would spoil the story. But I will say that Lena is very good at misdirecting. She’s managed to bring the past and present together. And you as a reader have to question everything you see and read. I can say that the lives of Gia, Hunter, Savannah, and other characters in the story will be changed forever. I’m looking forward to seeing what happens next for Gia and her friends. You can read a guest post from Gia Morelli here. There's also an excerpt and a chance to win a $25 Amazon Gift Card. The third book in the series, A Cold Brew Killing, releases November 6, 2018. Thank you so much for such a lovely review! I'm so happy you enjoyed the story, despite the bit of misdirection. Lol!